Yes, I have another project; reading the shortlists for the Hugo Awards 2014. Last week I read an article in the New Yorker by Christine Smallwood. It’s a review of The Shelf: From LEQ to LES, by Phyllis Rose. Smallwood describes it as a ‘stunt book’, in which Rose ‘reads through a more or less random shelf of library books’. That someone might undertake such an exercise, Smallwood suggests (and one has the impression that Smallwood isn’t actually that impressed by this feat – and I can’t say I am, either) is a reflection of the ‘embattled climate of bibliophilia’ in which ‘authors undertake reading stunts to prove that reading–anything– still matters’. Apparently, the number of Americans who read has been declining for thirty years, and Smallwood suggests that those who do read ‘have become proud of, even a bit overidentified with, the enterprise’. This overidentification seems to find its expression in merchandising. ‘Alongside the tote bags you can find T-shirts, magnets and buttons emblazoned with covers of classic novels; the Web site Etsy sells tights printed with poems by Emily Dickinson’. Why??? Meanwhile we’ll draw a veil over the paint colours inspired by literature. Smallwood comments that the ‘merchandising of reading has a curiously undifferentiated flavour, as if what you read mattered less than that you read.’ Except that this seems to me to be less about reading than about advertising that you read. Rose describes her own ‘adventure’ as ‘Off Road or Extreme Reading’, and draws comparisons between her reading and Ernest Shackleton’s explorations of the Antarctic (though presumably not the one where his men had to overwinter while he and a small crew sailed over 1000kms and then trekked across South Georgia to fetch help). The brief pause here … is me rearranging my face to avoid an expression of utter incredulity at Rose’s comparison. I didn’t do very well. Because obviously, Rose carefully selecting a suitable random shelf (no, really – this is a whole new definition of random) in the New York Society Library is absolutely analagous to Shackleton and his crew heading for the Antarctic. Apparently, there is a whole subgenre of books in which readers conduct such armchair expeditions. I’d been dimly aware of such books existing but hadn’t felt moved to read any of them, perhaps because I’ve always got my own reading projects on the go and am associated with online communities where other people are similarly engaged. And I’d argue my reading projects are rather more directed than Rose’s. Of course I’d argue that. And I suppose I’m feeling just a little bit unsettled about this as I have another reading project getting underway right now: a read through some of the Hugo Award shortlists for 2014. And there’s the rub. I have this whole project set up in my head, the reading loaded onto my tablet … and yet, isn’t this all just another performance? Am I really any better than Rose with her ridiculous analogies? I have form, after all – see The Shortlist Project. And the answer is, of course, both yes and no. To read through a series of shortlists is a feat in itself, one made more complicated by the fact that one nomination is in fact eighteen volumes (needless to say, the one question on everyone’s lips has been, ‘Are you going to read the whole Wheel of Time, to which my response has been ‘yes, if I can’) but whereas Rose’s project is mainly notable for its sheer randomness (well, its highly structured, with an eye to publication, randomness), coupled with a strong sense of ‘no one else has ever done this before’, I would like to think mine contrbutes to the community endeavour of determining which nominations deserve to win. But then, I would say that, wouldn’t I? Oddly, Smallwood’s article picks up on similar issues. Moving on from Rose’s enterprise, Smallwood provides a thumbnail sketch of different approaches to reading over the last century – close reading, theory, the wrenching open of the canon to include ‘women and people of colour’, ‘surface reading’ (which apparently describes rather than decodes) which is also ‘just reading’, which apparently focuses simply on what is manifest in a text. I linger momentarily on that because, to me, it is impossible to ‘just read’ when ‘just reading’ brings so many other things into play. That may be my academic training intruding, but ‘just reading’ suggests the words fly past one’s eyes and somehow sidestep the brain, whereas I’d argue that there is always some sort of judgement, however rudimentary, involved. Rose’s book, apparently, engages mostly in plot summary, which is fine so far as it goes, but in my view it doesn’t really go that far. Most people could read a book and provide some sort of summary of its content and I have very little patience with the sort of criticism that does nothing other than recapitulate the story. Rose is also what Smallwood calls ‘a social reader’; that is, she sees her reading as encounters with the authors. She ‘meets’ her authors, and in a couple of instances does actually meet them. To me, this is anathema. Not the meeting authors in the flesh (authors are, for the most part, people too, and some of them are excellent company) but the assumption that one can ‘meet’ authors by reading their books. I may no longer be a thorough-going Barthesian (it’s all far more complicated than the mere death of the author) but neither do I believe that what is on the page is, on the whole, the sum of the person who wrote it. Which is not to say either that the author’s personal presence never intrudes either, but I’ll come to that later. Having said that, I’m interested that Rose came across the work of Rhoda Lerman and indeed tracked her down, even if Lerman turned out not to be quite what Rose expected. But that’s kind of incidental to anything I’m attempting here. So, I start on my own extreme, or more accurately endurance, reading project with an uncomfortable feeling that yes, I am ‘performing’, though I hasten to reassure everyone I’m not planning on comparing my endeavours to Shackleton’s expeditions because, well, because that’s silly. But yes, in a way I am performing. I’d like to feel the world is hanging on my words of wisdom as I offer my opinions, because I’m not so bad at being a critic, but I have a strong suspicion it will boil down to whether I can make it through the entire Wheel of Time. Game on. This entry was posted in awards, genre theory, non fiction, reviews and tagged christine smallwood, hugo awards, hugo shortlist project 2014, new yorker, phyllis rose, rhoda lerman, wheel of time on June 16, 2014 by maureenkspeller. First, the Hugo shortlists have been announced. amid some controversy; in particular the presence of Vox Day, Larry Correia and one or two others, not to mention the complete Wheel of Time saga, in their various categories. There’s plenty of commentary about all of this across the web right now, and I’m not adding to it for now. I’m happy, though, to see the fan categories looking a lot livelier than they’ve done in some years. Link to the complete list of nominees is here, to save me typing it out again. The 1939 Retro Hugos shortlist was also announced: the list of nominees is here. And while I’m about it, more posts about genre, lit fic, the usual. This entry was posted in awards, genre theory and tagged chris beckett, hugo awards, juliet mckenna, links, retro hugo awards on April 20, 2014 by maureenkspeller. The project to read and blog about Northrop Frye’s Anatomy of Criticism: Four Essays continues after a slight pause while several of us were inundated with work. Today, I’d like to welcome my second guest blogger, Niall Harrison, editor-in-chief at Strange Horizons, who will be introducing us to Frye’s second essay, on ‘Ethical Criticism: Theory of Symbols’. What an inexplicable, long-winded, contradictory, pompous writer is Northrop Frye. For paragraphs at a time he seems happy to stray from his ostensible subject with the skimpiest of excuses, and spin an idea until it topples over. And the language! At least when Clute invents a critical term, he usually appropriates a word you’ve never heard before; here defenselessly normal words are turned to Frye’s purpose to construct an edifice that may make sense only on its own terms. And yet outside the essay itself — back in the introduction — Frye is an engaging and frank writer. And open, too, about his work’s limitations: “A book of this kind,” he affirms, “can only be offered to a reader who has enough sympathy with its aims to overlook, in the sense not of ignoring but of seeing past, whatever strikes him as inadequate or simply wrong” (29). In that spirit, then, I approach the theory of symbols. Frye’s aim here is to speak in generalities about the kinds of meaning that can be extracted from literature. A symbol (“in this essay”, at least) is “any unit of any literary structure that can be isolated for critical attention” (71). In each of Frye’s kinds of meaning there are different kinds of symbols. The relationship, he insists, is not hierarchical — although the way he structures the essay, which rises from particles to god, suggests otherwise — and so he wil speak of different “phases” of meaning: and he will characterise all literary structures as “poems”, “by synecdoche, because they are short words” (71), and perhaps because nobody suggested “text”. The literal phase: the marks on a page that represent sounds that represent meanings. 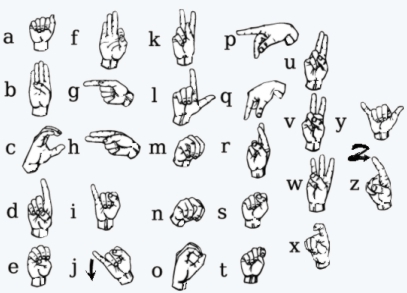 Symbols in this phase are “motifs”, and are understood “inwardly”, as part of a larger verbal pattern. Pattern is an important property of literature: indeed “the reason for producing the literary structure”, seen from this perspective, is to stimulate “the field of responses connected with pleasure, beauty and interest” (74). And because literature — as opposed to other kinds of writing, it seems — contains this level of structure, it is always ironic “because ‘what it says’ is always different in kind or degree from ‘what it means'” (81). The descriptive phase: more or less the level of what happens, the “sequence of gross events” (79). In this phase symbols are “signs”, and are understood “outwardly”, directing us to engage with the world beyond the text. Symbols that function as signs must be “large and striking”; that is, “nouns and verbs, and phrases built up out of important words” (79). Crucially there is no distinction here between things and ideas: in terms of their function within this sort of critical reading, they are the same. So far so good. We have the basic units, and a level of higher-order structure, and the tensions between the two seem evident. The next one foxes me a little, however. The formal phase: I’m not even sure Frye knows precisely what this means, because he seems to define it in particularly vague and possibly inconsistent ways. In the formal phase, poetry “exists between the example and the precept” (84). What? He talks about form being either “stationary” or “moving”, a distinction whose meaning I entirely failed to grasp. A little bit closer to comprehensible is this: “The form of the poem is the same whether it is studied as narrative or meaning” (85), which is clearly talking about form as some sort of unifying principle behind a literary work, but not in such a way that I could point to or describe an example of it. On the other hand, his statement of how formal criticism is done: “the units [the formal critic] isolates are those which show an analogy of proportion between the poem and the nature which it imitates” (84); pattern again, but this time at the interface between the work and the world. The mythical phase: On surer ground here — home ground, almost, since this is where we come to “convention and genre” (which are “based on analogies of form, but we’ll gloss over that). These are of interest because they are part of “our actual experience of literature” (95); indeed, Frye goes so far as to assert that “all art is equally conventionalised, but we do not ordinarily notice this fact unless we are unaccustomed to the convention” (96), which should be sent to John Mullan on a post card. I’d take issue with that “equally”, except that a little bit later Frye does it form me, setting out a spectrum from “pure convention” to “pure variable”. It’s really striking how much more familiar this section felt than any of the others — even allowing for the fact that the genres Frye is thinking of here are primarily the genres of structure, novels vs plays or what have you, rather than of content — how much the understanding of genre here is the one I read with on a daily basis. Finally: The anagogic phase: which is an attempt to talk about “universal meaning” that acknowledges cultural specificity (to a point: “they may be confidently excluded from the human race if they cannot understand the conception of food” ) and then tries to imagine the whole of literature contained within an imaginary godmind (I think) about which critics must remain agnostic (I think). (This was the other one that had me a bit baffled.) The most interesting notes here, for me, were those that returned to the importance of pattern once more — or ritual here — which becomes almost a living thing, aspiring to dominate nature, to bend the world to its form. It reminded me quite a lot of Clutean Story. This entry was posted in genre theory, non fiction, Uncategorized and tagged anatomy of criticism, ethical criticism, northrop frye, second essay on April 1, 2011 by maureenkspeller. The project to read and blog about Northrop Frye’s Anatomy of Criticism: Four Essays continues. Today, I’d like to welcome my first guest blogger, Paul Raven, better known to many as head wrangler of Futurismic, who will be introducing us to Frye’s first essay, on ‘Historical Criticism: Theory of Modes’. After Frye has introduced these basic modes, we’re off into a whole raft of other classifications (the subtypes and cross-pollinations of tragedy and comedy, for instance), all illustrated with references to texts with which I am, to my shame, almost universally unfamiliar. This makes a mockery of any attempt on my part to assess the usefulness of Frye’s theory as expounded in this essay; the most I could hope for is some sort of Chinese Room / Turing Machine processing of interlinked items for which I have little or no context. However, I do manage to get a sense of the general utility of this sort of approach to criticism… possibly because much of the genre criticism I’ve read at length tends to make use of the genre’s history as a framework. One gets to see how changing attitudes to the world have informed literature over time, and that is far clearer to see over the shorter timescale of genre’s existence (though again my own familiarity with genre by comparison to literature-as-a-whole is probably helping a lot); to come up with a similar theory of historical criticism tailored to genre would not only be useful but a lot of fun (though it would also be a lifetime’s work, I suspect, starting first with an examination of all the previous attempts at such). Our survey of fictional modes has also shown us that the mimetic tendency itself, the tendency to verisimilitude and ac curacy of description, is one of two poles of literature. At the other pole is something that seems to be connected both with Aristotle’s word mythos and with the usual meaning of myth. That is, it is a tendency to tell a story which is in origin a story about characters who can do anything, and only gradually becomes attracted toward a tendency to tell a plausible or credible story. Reading forward in history, therefore, we may think of our romantic, high mimetic and low mimetic modes as a series of displaced myths, mythoi or plot-formulas progressively moving over towards the opposite pole of verisimilitude, and then, with irony, beginning to move back. As for the inferences which may be made from the above survey, one is clearly that many current critical assumptions have a limited historical context. In our day an ironic provincialism, which looks everywhere in literature for complete objectivity, suspension of moral judgements, concentration on pure verbal craftsmanship, and similar virtues, is in the ascendant. A Romantic provincialism, which looks everywhere for genius and evidences of great personality, is more old-fashioned, but it is still around. The high mimetic mode also had its pedants, some of them still trying to apply canons of ideal form in the eighteenth and even the nineteenth centuries. The suggestion made here is that no set of critical standards derived from only one mode can ever assimilate the whole truth about poetry. Chiming as it does with my own as-yet-unformed “folksonomic mixing desk” theory of genre, this approach to analysing a text appeals to me greatly… and more than ever before makes it clear to me that I really need to read a great many more books written before 1900 than I have to date! This entry was posted in genre theory, non fiction, Uncategorized and tagged anatomy of criticism, first essay, historical criticism, northrop frye on March 14, 2011 by maureenkspeller. The title of this post comes from a comment that Northrop Frye makes in the ‘Polemical Introduction’ to his collection of essays, Anatomy of Criticism (1957) when he talks about criticism trying to find a personality behind an author’s work. I wondered then if this whole enterprise might not be about wrestling with rhetorical ectoplasm. I also noticed, as I began to write this commentary on the ‘Polemical Introduction’ that the book’s title has no preceding article, definite or indefinite. I am not sure whether this is significant or not, but it seems to be of a piece with an uncertainty that pervades the entire introduction, and possibly the four essays, the uncertainty of the critic trying to work out where he belongs. ‘Anatomy’ points us towards the idea of the dissection of an existing body and to a desire to find out what is going on underneath the skin. 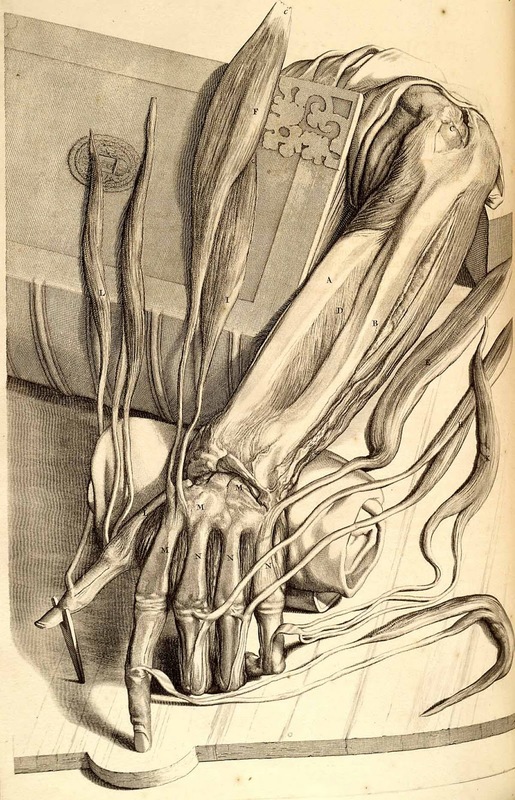 The body lies on the dissecting table, anonymous, bereft of articles. I have the sense that we may already be in trouble. We do not dissect the living. Has criticism already died, or will it be granted a reprieve? It is perhaps also worth pausing for a moment to think about what ‘polemical’ suggests. Frye is clearly inviting controversy, debate, dispute. He implies that he is looking for an argument; it is up to us as readers to offer that argument if we can. 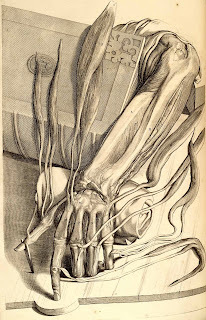 And yet, even as he challenges us with the title, in the very first paragraph of the introduction, when he lays out his vision of the ‘Anatomy’, Frye immediately offers caveats: ‘[t]he gaps in the subject as treated here are too enormous for the book ever to be regarded as presenting my system, or even my theory’ before inviting us to consider the essays as ‘an interconnected group of suggestions’. There also seems to be a certain amount of foot-shuffling and throat-clearing going on as he lays out his intentions. We should view these essays, he says, in the original sense of the word’s meaning, as ‘a trial or an incomplete attempt’. He is offering possibilities, and offering them tentatively. And what is Frye attempting to do? Two things. First, he will argue for ‘the possibility of a synoptic view of the scope, theory, principles and techniques of literary criticism’. Secondly, he will try to convince his readers that such a view is attainable. Which, of course, suggests that doubts have been expressed, though by whom he doesn’t say. Perhaps he expects his readers to do the same. Frye’s first key point is a definition of sorts, namely that criticism is ‘the whole work of scholarship and taste concerned with literature’. It is not very precise, and one thing that will become apparent during a reading of the Polemical Introduction is that Frye seems to find a certain amount of difficulty in offering a proper definition of criticism because the concept itself will prove to resist easy explanation. Indeed, Frye immediately has to leap to the defence of literary criticism as an art in itself rather than being a parasitic form of literary expression: in other words, those who can do, those who can’t instead teach. I can’t decide whether it is more depressing to consider that this argument was already in play almost 55 years ago or that we are still having to deal with it in 2011. Similarly, all these years later we are still pondering whether the critic is a non-productive intellectual or some sort of cultural middle-man. For that matter, do we even need a cultural middle-man? Frye’s view seems to be that yes, some sort of intermediary is required. The public needs critics, in part to avoid impoverishing or losing its cultural memory, and in part, and more vitally, because: ‘[c]riticism can talk and all the arts are dumb’. This is, I think, a powerful and provocative statement. If the arts are dumb, what is their purpose or role? Why do people create? And, if the arts are dumb, is criticism, which speaks on behalf of the arts, no longer an art? This also, I think, throws open other issues for discussion, about the critic’s suggested role as an interpreter of the arts. Whatever else it might be, Frye is keen to separate the critic from the artist. Or rather, in acknowledging that artists may also be critics, they cannot be critics, and here I think he means interpreters, of their own work. They might, as Frye notes, have a ‘peculiar interest, but not a peculiar authority’. 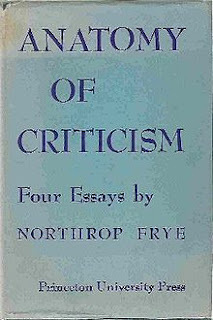 Frye’s concern is to establish that the critic as ‘his own field of activity’, and that he has autonomy within that field’. Beyond that, ‘criticism deals with literature in terms of a specific conceptual framework’. In suggesting this, Frye – and here I think I’m correct in saying he was writing prior to the rise of continental philosophy as an influence in literary theory in the US – is keen to dismiss external belief systems, such as Marxism. (Somehow, I can’t imagine Frye ever being enthusiastic about Theory.) However, what he seems to struggle with in turn is deriving a system from literature itself. An understanding of good taste is insufficient, and properly so, not least because, as Frye recognises, taste is as much a social issue as it is a matter of judging one book or author against another, and tastes change. an intermediate form of criticism, a coherent and comprehensive theory of literature, logically and scientifically organized, some of which the student learns unconsciously as he goes on, but the main principles of which are as yet unknown to us. Except that, annoyingly, what one might for lack of any better terminology term a ‘grand unified theory of literary criticism’ doesn’t seem to exist. If anything, there is a space where it ought to be and other disciplines are squabbling over occupancy of that space. Frye therefore embarks on a lengthy exercise to determine what a systematic conceptual framework of literary criticism might look like, using inductive principles. What is striking to me throughout this exercise is how much it seems to rely on saying what literary criticism doesn’t do, what it shouldn’t do. Take, for example, the issue of value judgements, whether one book is better than another or worse. Frye identifies two kinds of value-judgement, comparative and positive. The first he associates with what he calls biographical criticism, which relates the work to the man (and something I personally prefer not to practise unless circumstances absolutely demand it; occasionally an author’s work runs very close to their biography). 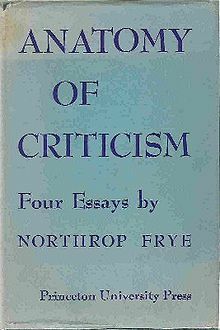 Positive criticism Frye associates with what he calls tropical criticism, dealing comparatively with style and craftsmanship, which is, I guess, part of what I do, but Frye was arguing that literary value-judgements generally are projections of social judgements. Taking a modern example one might crudely say that, for example, Trainspotting isn’t as good as a novel with rather nicer people in it. As Frye works his way through this process of attempting to construct a framework, the problems keep on piling up. Obviously there is more going on in there than a matter of taste, but what is it?. Frye pinpoint one problems as the relationship between the value-judgement and the actual experience of reading, which is not accessible to us. Accountable only through terminology, it doesn’t recapture the experience of reading, only of generating criticism. On the other hand, simply to draw on a widening body of material read is insufficient. As Frye himself puts it, the danger is of settling into a general stupor of satisfaction with everything written, which is clearly not acceptable. My initial thoughts on the introduction: there are complex arguments at play here and though I’ve read the introduction twice now, I’m looking forward to the discussion with the other members of this reading group, and anyone else who cares to join in, to try to clarify various aspects of Frye’s project (I’ve not yet read the rest of the essays so I have no idea in which directions Frye himself will head). It is striking that, for Frye at least, little if any significant progress had been made in developing a systematic approach to literary criticism since Aristotle’s poetics. Sidney’s Defence of Poesy and Coleridge’s voluminous writings are not mentioned in this introduction, with not even a hint of Burke on the sublime, or of Keats’s letters, all of which come immediately to my mind. Which suggests to me that Frye is definitely looking for something detached from the artist’s point of view. I am still not entirely clear about Frye’s conception of the critic, as distinct from the public man of taste or the scholar, perhaps because, on the one hand, I wonder if my general reviewing doesn’t belong in the former category, and on the other hand, I am also an academic. I’m constantly seeking to bring my academic skills to bear on my reviewing in a way that makes them more generally accessible but I am not always sure they make a good fit with one another. I wonder if Frye will show me a way of reconciling these points of view. On an historical note, I was also struck by the fact that Frye’s critical landscape consists primarily of white male writers, mostly dead ones; according to the index, Frye mentions Jane Austen, Charlotte and Emily Brontë, Emily Dickinson, Katherine Mansfield, Marianne Moore, Amanda Ros, Gertrude Stein and Virginia Woolf, of whom the only one still living when the book was published was Moore. I think the index lists more female characters than female writers. Which is not to criticise Frye in particular but it’s always a shock to me when I read back to a past when female writers were mainly invisible. This entry was posted in genre theory, non fiction and tagged anatomy of criticism, northrop frye, polemical introduction on March 7, 2011 by maureenkspeller. We were having lunch when I happened to mention I had started reading Northrop Frye’s Anatomy of Criticism. ‘Are you going to blog it?’ asked Niall Harrison. I hadn’t given the idea any thought, but it turned out that while all of us had either read bits of the Anatomy or had always meant to read it, we couldn’t actually muster a complete reading between us. Thus was born the idea of reading and blogging our way through the entire Anatomy of Criticism. ‘We’ are Niall Harrison, Paul Kincaid, Jonathan McCalmont, Paul Graham Raven and me, Maureen Kincaid Speller. The book comprises a ‘Polemical Introduction’, and four Essays, plus a Tentative Conclusion, so we have shared out the Introduction and Essays, and each of us will introduce one of them and open discussion. We will all respond to the Tentative Conclusion. The project begins today with my comments on the Polemical Introduction, in the next post, and the rest of the blogging timetable should look like this (with the caveat that life happens so there may be some slippage). It remains only to begin the discussion. This entry was posted in genre theory and tagged anatomy of criticism, jonathan mccalmont, maureen kincaid speller, niall ahrrison, northrop frye, paul kincaid, paul raven on March 7, 2011 by maureenkspeller. I normally avoid the bear pit of readers’ comments on Guardian articles, because I am a delicate, wilting flower who dislikes unstructured conflict, but Hal Duncan’s comment on my previous post, ‘Twelve of the Best’ prompted me to go back to John Mullan’s article and read the comments it has accrued, including Hal’s own trenchant observations on genre and literary fiction. I suggest you do the same, not least to read Hal’s arguments. There are two pages of comments: here and here – Hal’s are in the second page. Alternatively, you might just want to go straight to Hal’s own Notes from the Geekshow and read his comments there. The comments are generally interesting, though a lot of the usual issues are raised once again, from the now perennial claim that all authors will be better off publishing themselves, through various complaints that publishers don’t want to publish what a particular author is offering (which is unfortunate but not immediately germane to the discussion, I feel), through a little light sf-bashing, complaints that seeking ethnic diversity is tantamount to racism, and to more thoughtful discussions of the issues that have been raised lately. Mullan and Alex Clark, two of the judges, contribute (though not as usefully as I would have liked), and I am still looking in vain for any clear indication of the protocols under which this exercise was operated in the first place. This entry was posted in genre theory and tagged genre theory, hal duncan, john mullan, literary fiction on March 1, 2011 by maureenkspeller.